While the fight for desktop dominance is still raging somewhere in the distance, Linux has quietly succeeded in the places no one thinks to look. It's being used in mobile phones, set-top boxes, media streamers and routers. It's being used to fuel the London Stock Exchange and to provide in-flight entertainment for thousands of travellers. And it does this without ceremony and, mostly, without anyone noticing. The average user of an HTC Desire or a Samsung Galaxy S is likely to know that their phone is running Android, but they're unlikely to know, or even care, that Android is sitting on top of Linux. 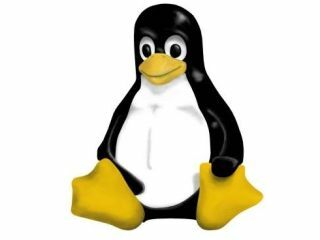 Thanks to Google, Linux is a massive success on mobile phones, and is putting open source software into more hands than the desktop revolution ever has. The big feature updates that Google pushes out often add more functionality, and are a major factor in making Android the only viable competitor to Apple's iPhone dominance. Not only that, but Android has more hardware options, and most devices have broadly the same capabilities at a lower cost. Android also inherits some important characteristics from Linux. It's much more open than Apple's devices, for example. There are fewer restrictions both on developers and what they can put in their apps, and on what users can run on their own hardware. Initiatives such as Google's App Inventor should help far more people to scratch their own itches, and the Market application store, with its liberal approach to acceptance and inclusion, is catching up with Apple's App Store, passing the 100,000 applications mark in October. And then there's the march of the Android tablets, many of which are appearing right about now, and all of which use Linux. But Android isn't the only Linux mobile game in town. HP webOS, the operating system behind Palm's reinvention as a mobile vendor, has also gained a foothold in the phone market. As with Android devices, its users are seldom aware they're using Linux. There are virtual desktops, a WebKit-enabled browser and a free development environment. There's also an applications store and access to a command line. Even Nokia is buying into the open source revolution, firstly by taking over the Qt framework, and then by promising to ship all its smartphones with MeeGo, the Linux-based OS built in collaboration with Intel. Set-top boxes are another secret to Linux's success. These are the devices that sit next to your television, typically streaming content from a server, recording digital television or browsing the web. They've become so common that it's probably harder to find a device not running Linux than it is to find one with a penguin inside. But it's very difficult to see whether Linux is running on these boxes anyway. Thanks to the ubiquity of the Busy Box embedded Linux distribution and the way most products use a completely customised front-end, there's usually very little evidence of the Linux you might be familiar with. The fact they run Linux is irrelevant to the user, because you can't do anything the manufacturer doesn't want you to with most of them. Linux is the means rather than a feature. The open source stack is augmented with various proprietary bits of code that are required for media content and high-definition streaming. Many digital television receivers fall into this category too. Satellite boxes from Humax, for example, can use ext3-formatted USB drives to move recorded programs and media from the set-top boxes on to external storage, but this is the only clue that Linux may be powering the hardware. Many media streamers, such as the Popcorn Hour devices, use Linux in the same way. The small chipset in these boxes is responsible for decoding almost every media format you can think of and sending video to your television at full 1080p resolution with digital surround sound. That's a lot of power for an embedded system, and it's a job Linux is more than capable of. The Popcorn Hour, however, is one example where you can get to the Linux sub-system, firstly through an open Telnet port, but you're then free to install community maintained packages or break out on your own with the command line. Another is the Neuros Link, a low-powered PC in a box designed for media streaming and interactive TV. But because it's based on Ubuntu, you're free to install any of thousands of packages alongside the customised user interface designed to work with your television, so you get the best of both worlds. It's a similar case with its predecessor, the Neuros OSD. This was a simple streaming client, but you could access its embedded Linux and turn the box into a much more capable front-end. Many people use them for MythTV playback, for instance.